Pricing in marketing is critical because it affects the success or failure of any product. As a seller, you usually would have only 1 product, being your property, which is also a high-value product. As the price point rises there is a corresponding rise in the expectations of the buyers. A buyer at 1,4 million is completely different to someone buying at 1,6 million. The higher the price point the more emphasis is placed on quality and function is increasing, just taken for granted. A buyer who comes to view a property which should be listed at 1,4 million, but priced at R1,6 million; will find they initially get viewers, but that these rapidly move on, without ever making an offer. But one thing is sure, the buyers will be frustrated that they did not have their expectations met. This feeling of frustration also ensures that no offer will be made. The seller will become increasingly frustrated by the show houses and lists of visitors, all of whom have failed to see the value which they see in their home. The seller also begins to loose tolerance for the inconvenience of living in a home that is for sale and where buyers could potentially be coming around. A natural consequence of overpricing is simply that one receives no offers. It is soul destroying to see keen buyers magically transform from a state of excitement to politely trying to get out of the property. If you are not getting offers, there is a reason: the market (which ultimately determines the sale price) has spoken, you only need ears to hear what it is saying but you ignore the market at your peril. Just like that last loaf of bread on the rack at a corner cafe, nobody wants to buy what no one else wants. A property which sits on the market week after week slowly slides into infamy, the home that nobody wants. It sounds like a movie title and if it was I am not sure if one would classify it as a tragedy, drama or a horror movie. This doom awaits the owner who has failed to listen to the market. It may sound like I am over dramatizing it but you need only speak to an owner who suffered this fate. This property becomes a “bait”property for the selling agent because they cannot sell it, but it may still attract buyers and that is a positive, for them. Even buyer’s agents can find a positive, in that they use this property to showcase the property they are really trying to sell down the road. A seller eventually realizes that a buyer at the original asking price is proving more than mythical. Unlike the many people who have claimed to see the Loch Ness monster, nobody claims to see an offer for their property at the original asking price. And so as the realization dawns the seller decides to drop their price. In reality, they are not losing anything at this stage because it would only truly be giving something away, if they had offers at the asking price, to begin with. But sadly, more woe awaits this tortured seller. If the market is a neutral market or worse, a buyer’s market; by the time they adjust the market value has dropped and their adjustment is often behind the market. This means the property is now still overpriced but now the market sees that its price is dropping. This can result in a deflationary effect. 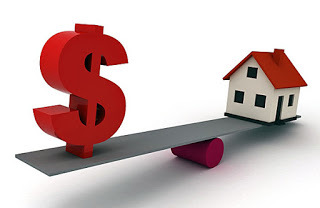 Those buyers who are interested now start paying attention but do not commit because they are betting on the property’s price dropping further (how low can it go?). the fact is the buyers are the market and if you are not selling to them you are buying it back yourself. It takes very little skill to value high to get the mandate while justifying it by saying you are merely recognising value. But as the process above plays out, the valuation upon which this castle of dreams was built begins to rapidly decay into a house of horrors. I have seen agents avoid these properties and move on to properties which are more saleable. The hapless seller finds that his contact with the agent becomes increasingly less and less. The increasingly vocal frustration of the seller adds to the distance and eventually it becomes a matter of waiting out the mandate. We live in a digital age and internet portals are key factors in the success of selling residential property. But these portals recognise the fact that the population like new listings and ensure that non-selling listings move down the rankings. This slow decay in rankings means that very often after a few months, your property is so far down, a Gauteng gold miner would have a problem finding it. Then comes the costs which go hand in hand with holding the property. The rates and taxes, municipal charges, the maintenance and then there are the financial charges if you have a bond like interest, capital payments etc; these do not stop. Then comes the ones you do not see. If you need to sell to buy, your efforts will be frustrated and very often a new bond application will be subject to the existing bond being canceled. But say you have to move out of your primary residence due to necessity like a transfer. As soon as you abandon your home as a primary residence, you may find that any capital gain you had being eroded by capital gains tax (CGT). A property which has been on the market for a while eventually sells, but then for less than it could have achieved had it been priced right at initial listing. This “silent penalty” is insidious because it is seldom recognized and its effects are often glossed over after the fact. In some cases, the loss is greater than the commission due to the agent. In real terms the implication is that had the right price point been selected initially, not only would the property have sold much quicker, but the agent’s commission would have been free when compared with the other scenario. The key is to do your homework before contracting with a property broker. Then make sure they have done their homework and then follow their advice. Clinton Begley (PPRE MPRE CEA B.PROC (NMMU)) is the co-founder, Principal/Director at BOLD REALTY, in Port Elizabeth, South Africa. In addition, to his passion for people and real estate, he is also an experienced trainer, coach, and mentor. He holds a B.Proc degree through the Nelson Mandela Metropolitan University and is a non-practising Attorney, Notary, and Conveyancer (with over a decade of experience). His legal and real estate experience is augmented by studies towards an MBA degree through the Nelson Mandela Metropolitan University Business School, which he is scheduled to complete soon. This article reflects the personal opinion of the author only, it is NOT intended as legal advice nor may any reliance be placed upon it. The article is purely for information purposes and you are advised to consult an expert before making any decision. Source: The Port Elizabeth Property Blog.